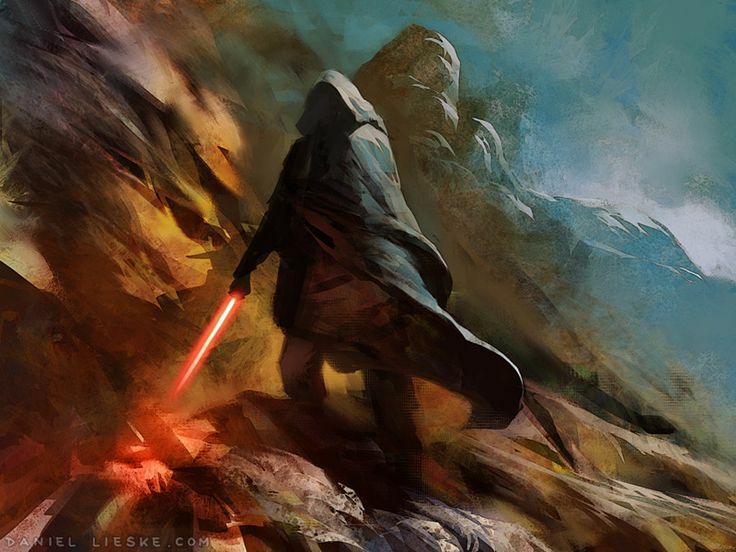 Darth Vader has selected a sinister force code named Task Force 77 for a special mission. They have 28 standard hours to successful apprehend the fugitive named “Quist” and return him to agents of the Empire. Failure will be rewarded with death. Admiral Vorn recently resigned his position as a Naval Leader in order to serve Emperor Sheev Palpatine in a more direct capacity. He has been acting as a field officer for Vader’s Fist, the best of the best in the 501. He has been assigned to lead Task Force 77 by Vader. 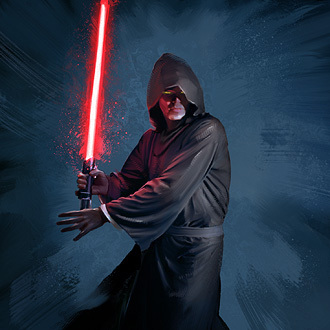 Vorn has been given full authority to execute any member of the 77 who become a liability to the overall mission. 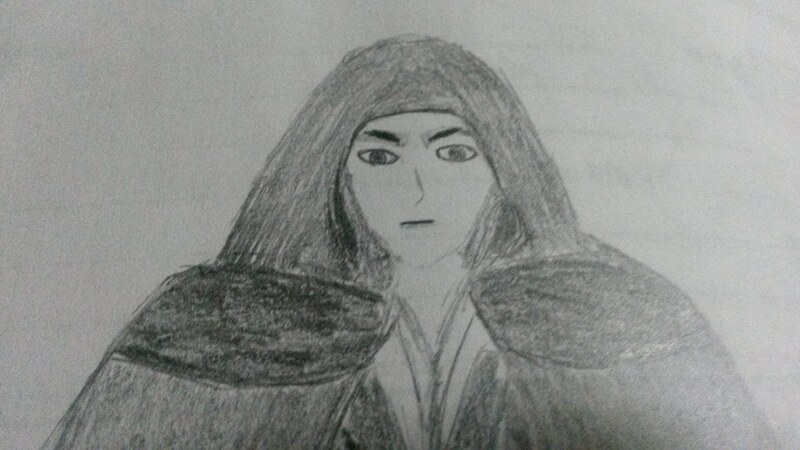 Vorn is a scowling implacable aging man with graying hair and an intense countenance. Years in the Imperial Navy have made this officer intolerant of impertinent and insolent subjects. He is cold, logical, and strives for law and order. KI-11 is a InterGalatic Banking Clan Series droid, usually just referred to as the IG Series. KI-11 is one of four models of IG-88’s manufactured by Holowan Laboratories. There were only four IG-88 assassin droids, labeled A, B, C and D, only one of which was loaded with the programming. As the programming was loaded into unit A, it self-replicated itself and named itself IG-88. As the IG-88 came online, it perceived the scientists as a threat and eliminated them. It then copied its programming into units B, C, and D. The four droids killed everyone at the facility and released IG-72, who left the four IG-88 droids to track down and destroy their programmers, as well as their notes to prevent anyone from learning their weaknesses. The droids then went separately into the galaxy to carry out their programming in the best way they might determine. 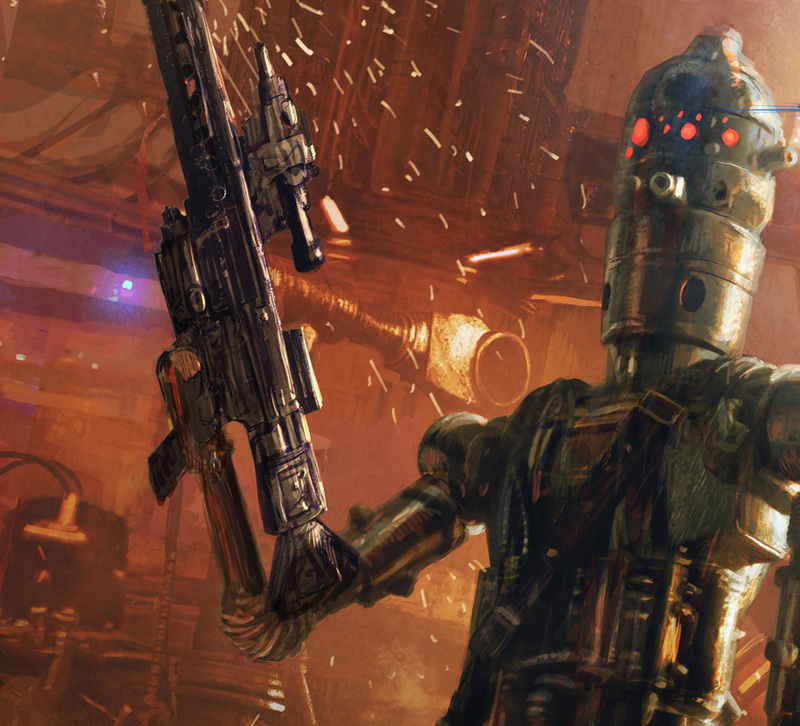 IG-88 became a bounty hunter, and the others followed similar violent careers. KI-11 will never reveal whether it is model B,C, or D. It is illogical and meaningless to do so. KI-11 does seek to emulate its programmer, IG-88 in every way, meaning it seeks to replicate itself into a new breed of assassin droid before its programming ends. KI-11 simply has perceived that the Alliance is a threat and will be eliminated. KI-11 currently lends its loyalty to the Imperials as they are examining KI-11’s performance in the field as a possible platform for creating and programming a new series of assassin droids. Ki-11 calculates that this may allow for an opportunity to replicate itself into a new series of droids, thus extending its programming legacy much as IG-88A did with its three replicates. Very little is known about the man who served as the beloved Senator of the Halla Sector, also known as Sector 3. Otran Rorab is an opportunist. When the Senate was disbanded and his home planet of Dac was slated to become a slave world, he saw an opportunity. 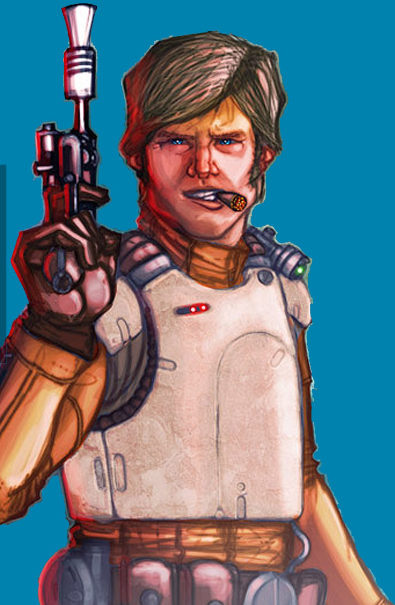 Through a series of power grabs and lucky encounters, he secured a position as a Imperial Bounty Hunter. His only regret was that his loyalty to the Emperor was forged in enslaving his own people. Adarn has the honor of having studies under the heavy hand of Darth Vader himself. He is serving as a member of Task Force 77 as a part of his Jedi testing. Vader senses weakness within his apprentice. Adarn is determined to prove his Master wrong. Mordo was an orphaned wretch working in a salvage operation on a backwater planet in Sector 3 when a Jedi found him and recognized he was Force sensitive. Realizing that this was his chance to advance himself, he accepted the offer of training. When he believed that he could learn no more from his Master, he murdered him while he slept. This began his journey into the power of the Dark side. Mordo is greedy and only thinks of himself. For him there are only two types of people in the world: the Hunter and the Prey. He has no plans to return to being a victim. He will take what is his, and rise to the power and affluence he deserves. RaaRaaDaa is a second generation slave. He and his family were enlisted to help build and fortify a shield generator in a Sector 3 planet. This planet was one of the first places attacked by the Alliance. During the incursion, most of the Wookie slaves refused to engage the Rebel forces. 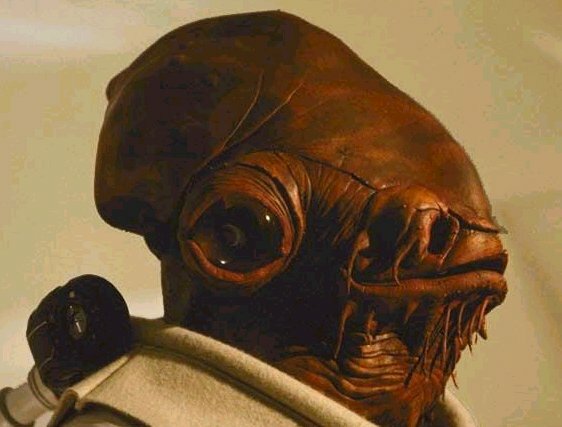 However, RaaRaaDaa’s parents both believed that he was endangered so they fought back alongside their Imperial masters. His parents were killed by the invading Rebel forces. He swore vengence against the Alliance, and has been a savage asset on several missions thus far. Vader has assigned him to this mission to act as the brutal beast that he has become. Th’all displayed that he was Force sensitive at an early age. He was taken in by his teacher to protect him from Jedi Hunters. The Hunters killed his family, stirring up feelings that would start him down the path to the Dark Side. He learned from his teacher while resentment grew in his heart. In the end, he killed his teacher during a duel. Taking the Jedi’s lightsaber as his own, he swore to avenge his family. 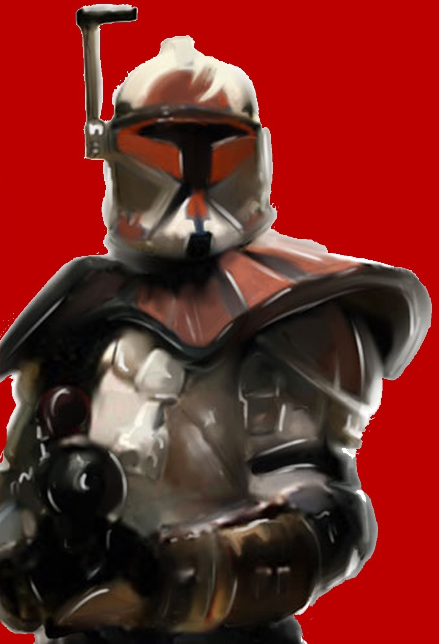 He has served the Empire on several missions as a mercenary. Now, he has volunteered for the Danuta Manhunt as a means to an end. He plans to prove to Lord Vader that he is the best candidate among the other Jedi on the Task Force ,,, even if it means eliminating them. 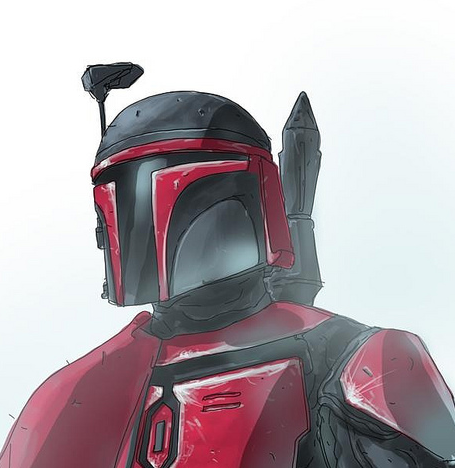 Little is known of this mysterious bounty hunter. He has 29 confirmed bounties and was recruited by Vader due to his excellent reputation. Zorseth hates the Rebellion. They killed his family and he wants revenge. Revenge isn’t cheap, so he works as a mercenary and bounty hunter. He’s working for Vader because the Empire pays well, and it gives him another chance to kill Rebels. 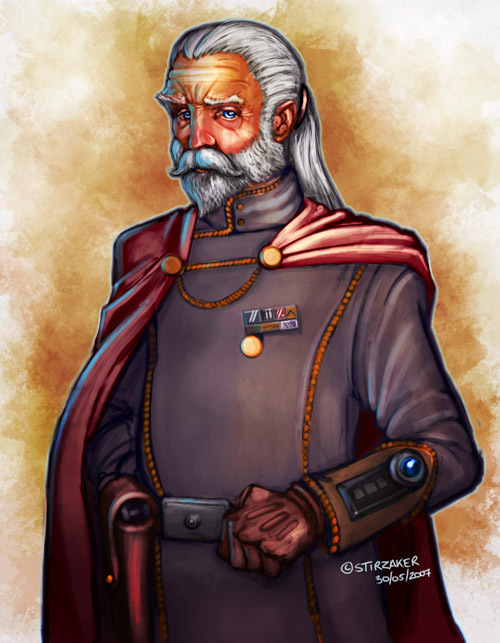 The man known as SENTR OI served as a loyal trooper in the Clone Wars. 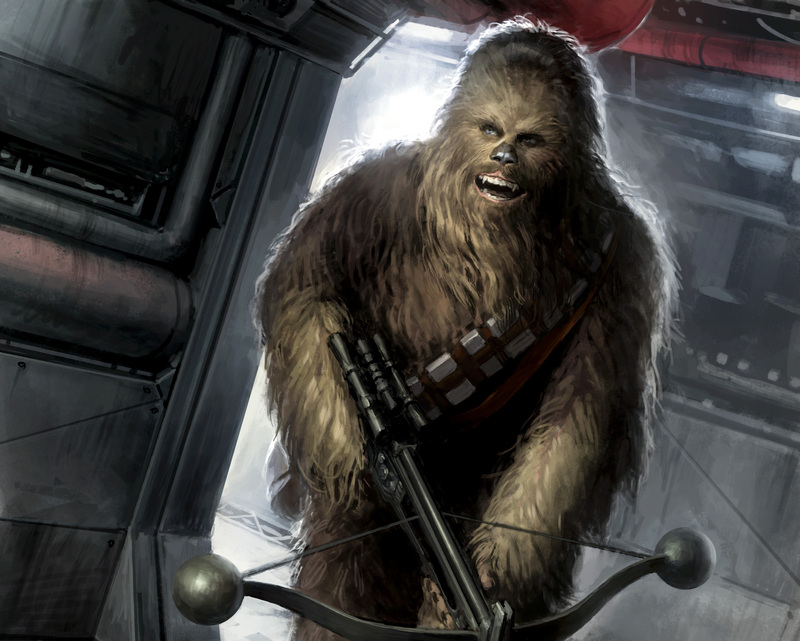 During the invasion of Kashyyyk, his ship was hit and he was severely wounded. Through a series of extensive medical procedures, he was treated but would never again serve in the military. Over half of his body has been replaced or augmented with cyborg implants. He is essentially more of a machine than a man at this point. He still wears his old Clone Trooper armor, although it shows wear and tear. SENTR OI is an old man now, but he hasn’t quit. He keep fighting. 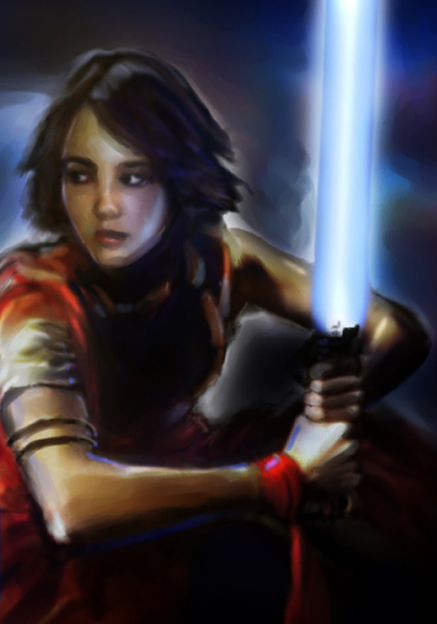 The whole story of Beth McGrawn is not known, but the name McGrawn is known to many of the surviving Jedis in the galaxy. She was discovered by her master at an early age. Her master was an old man who had failed in his own training and looked for his redemption at the end of many bottles. However, her master saw his own redemption in the training of Beth. She was an excellent student, and her master believed that training her was the “last good thing” he would do with his otherwise meaningless life. He had no idea how true this would be. After her training, Beth returned home to Dantooine in the Raoiballo Sector to find that her family had been arrested and sent to a detainment center for being suspected as Separatist supporters, mainly due to their connection to her Master. Beth was overwhelmed by emotion, and went on a killing spree. As the story goes, she returned to her Master and struck him down. She blamed him for everything that happened with her family. Her bloodbath has continued for nearly two years. .Until recently, Cole was one of the seven senators responsible for the Raioballo sector. Cole’s family has long served as officials in the government, and he is a third generation Senator. He is loyal to the Senate and Supreme Chancellor Palpatine. 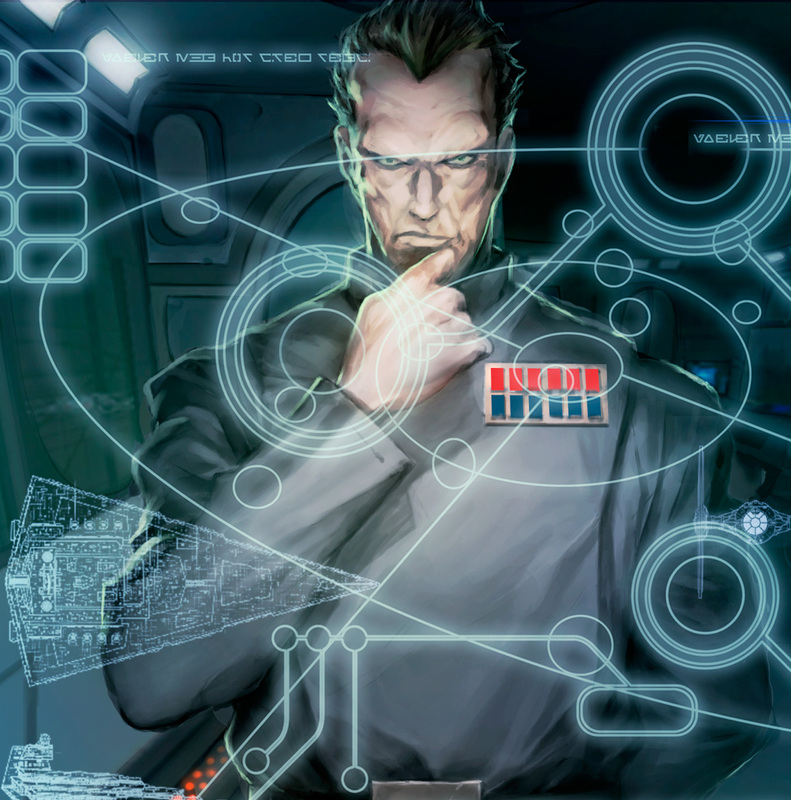 However, with recent events of Palpatine then announcing his plans to reorganize the Republic into the Galactic Empire, with himself as Emperor, Cole is conflicted. 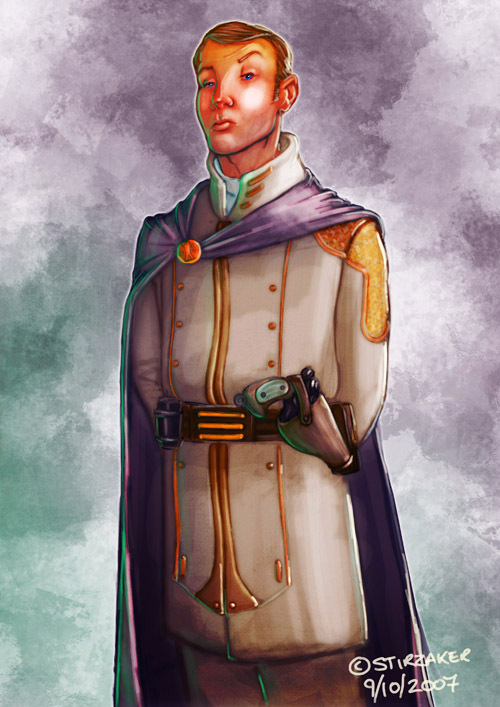 He wants to make his family proud of him, but he doubts the intentions of Palatine as pure. Read more about their mission to Danuta here.